One of the hardest parts of having metastatic breast cancer is watching cancer take over the bodies of friends, rob them of their future and rip them from their families. (Harsh… I know. That’s just how I feel right now) I can’t keep track of how many friends I have lost since my diagnosis in 2014. Many were friends I connected with online or over the phone. Hope Scarves widens my friendship circle, which I am thankful for. But also deepens the hurt when so many I know die. 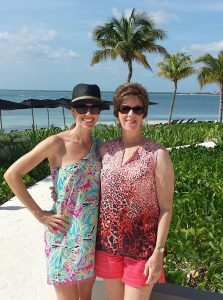 Mary Eleanor and her daughter on one of many trips together. This week we lost one of the greatest. Mary Eleanor. I met Mary Eleanor at an event we hosted for metastatic patients in 2014. I was just new at this – still on very shaky ground as I adjusted to the reality of the diagnosis. Mary Eleanor took me aside. Put her beautifully manicured hand on my arm and looked me in the eye. She said, “You are too young for this. They have to figure this out. You will be ok.” The thought that I could survive this diagnosis was not an option I had considered. But, this strong, determined woman was giving me permission to believe it might happen. And, by God, I had a feeling Mary Eleanor was the type of person you listened to. Regardless of whether or not this is realistic, Mary Eleanor’s determination stuck with me. Why don’t I leave a little room for science, for breakthroughs and research? What could that hurt? 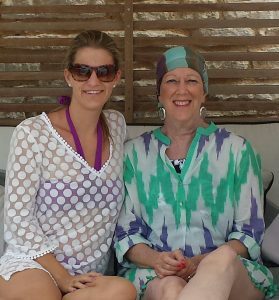 Mary Eleanor faced metastatic breast cancer for 12 years and every one of those years were filled with life. I probably received 10 cards from her over the past couple years. She was constantly thinking of others- even when she was the one who should have been receiving a card. One card stands out most of all. In it she included a $50 check. Not a donation to Hope Scarves. This was a check made out to me personally with a note that said, “Go do something fun with your boys!” She loved kids. Being a mom and a grandma were her biggest joys. This generous and thoughtful gesture was an important reminder to me to not let this time I have with our sons slip away. It also showed me just how caring my dear friend was. So, in honor of Mary Eleanor I left dirty dishes in the sink and I played ping pong with Wills & Bennett. We are humbled & honored to be one of the charities Mary Eleanor chose to receive donations in her memory. Her spirit and compassion will be a part of our work forever. It’s hard to say good-bye to friends. But, it would be much harder if we never met at all. I think the people we love are with of us forever. May we continue to share compassion and care for others as she so beautifully did. Peace be with her family and all who loved her. Let’s take her words to heart. When I was diagnosed with stage 4, metastatic breast cancer each breath was a struggle. I was suffocated by the future. Stage 4 breast cancer or metastatic breast cancer (MBC) is when breast cancer cells move beyond the breast – often to the bones, lung, liver or brain. When people die of breast cancer they die from stage 4, MBC. The life expectancy for a MBC patient is 2-3 years. There are treatment options, but no cure. I was first diagnosed with stage 2 breast cancer in 2007. In 2014 it returned in my bones, making me a metastatic breast cancer patient. I was terrified. My kids were 5 and 8. I was 37. How could this be happening? I was consumed by terrifying questions about our future. How would my disease progress? How long do I have? How can I cause so much pain for my family? I couldn’t face the day because I lived in fear of what was coming. Yoga helped me release these fears and focus on the day before me. 502 Power Yoga became a place of peace and power. When I come to my mat – I let everything else fall away. I focus on my breath and I focus on the strength I have today. My body is responding to treatments and the cancer hasn’t grown in three years. Three years! I am what some call an “exceptional responder.” This small miracle is something I treasure deeply. Recognizing this can all change quite quickly. I have learned to take the principals from my practice and live them out in my daily life. Living a life of intention, I embrace this time of health. Instead of being consumed with fear of a perceived future of sickness, I focus on what is certain right before me each day. My breath reminds me I am living. I live a rich, full life. The other day I even “flipped my dog into full wheel.” (yogis get how exciting that is!) Perhaps the only piece of goodness that comes from the pain of this diagnosis is this perspective of how fragile and beautiful life is. I breathe in each moment. Letting go of that which I can’t control. Each Sunday there is a donation based karma class at 502 Power Yoga from 5:30-6:30pm. Money raised supports local community organizations. In January the Karma class supports Hope Scarves. I founded Hope Scarves in 2012 as a way to turn this scary experience into something positive to help others. We collect scarves and stories from cancer survivors and pass them on to others in treatment. We have sent over 6,000 scarves to every state and 13 countries. The scarves and stories connect us and help us find common ground. 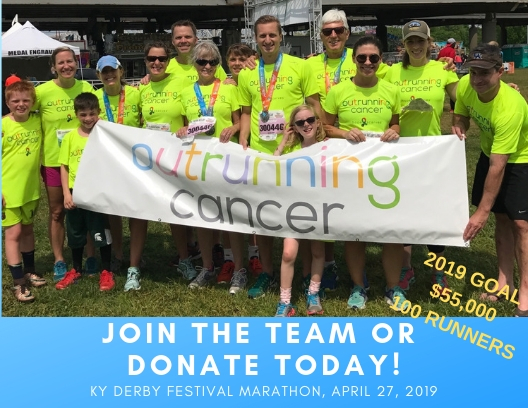 After my metastatic diagnosis we started a research fund to help accelerate the discovery of treatment options for people like me facing this terminal diagnosis. I look forward to seeing you on a Sunday afternoon to support Hope Scarves – thanks to those who have already been a part of the class. I am grateful to have found a place that helps me live the healthiest, most hopeful, intentional life I can. 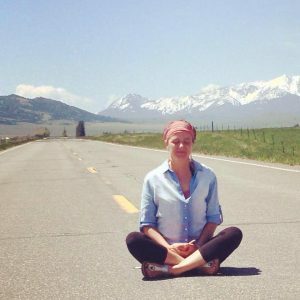 I hope others who face similar struggles will give yoga a try. Perhaps it can also help you cope with the overwhelming fear of a metastatic diagnosis or other challenges of life. Full of hope, I started the next morning with a sunrise yoga class. I had a productive day at the Hope Scarves office. Our Program Director Erica told a volunteer – “ today she’s even more fired up than usual.” Ha! I picked up our boys from school and smiled in the afternoon sunshine. 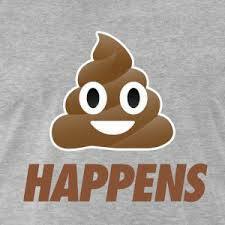 I opened the door to our home to find our little dog Keeper had left gigantic turds all over the kitchen. As I prepared dinner I dropped a dozen fresh eggs from our chickens all over the floor. When I went to the cleaning closet to find a towel to clean up the mess, a light bulb rolled off the shelf and shattered around my bare feet. As I tucked Bennett into bed and lay down to read with him I slipped off my slippers only to find they landed in a giant pile of dog barf. Moments later I heard Keeper puking in the dining room. 2 hours and 5 piles of puke later I lay down exhausted. Thankful that this was the s*^% I was dealing with. Not discouraging treatment decisions or painful side effects (like so many friends I know). I can take a whole lotta dog puke. This is what life is made of. Even people brimming with gratitude and happiness have days that go wrong. Then, I went into the bathroom to find the toilet overflowing and little turds floating all over the tile. Judy stopped in to our office this morning to volunteer. With the start of a new year, we are pleased to share a brand new volunteer as our Face of Hope for January. She is a breast cancer survivor. Many say 2016 was the pits. And in many ways it was- a lot of great artists died, a divisive political campaign, nations in crisis, terrorism and hate. At Hope Scarves we lost dear friends to cancer. Yet, for me, 2016 was also a whole lotta awesome. 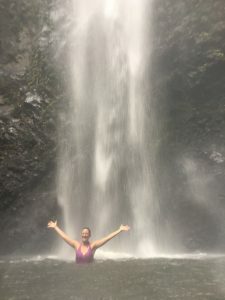 I nervously settled into this existence of living life to the fullest despite metastatic breast cancer. And, by the grace of God I had a year of strength and health as my scans continued to show NED – no evidence of active disease. I celebrated my 40th birthday – repeatedly. A wonderful excuse to travel, pop champagne and connect with friends and family near and far. Hope Scarves had a laughter filled year of growth and continued success – national partnerships, increasing interest in our program and record fundraising success. You can read more in our end of year newsletter. Our children are at really fun ages (almost 9 & 11). They are independent yet still love to spend time with us. Our family had great adventures together – camping in Grand Tetons, skiing in Colorado, Hawaii and a Michigan summer. I embraced moments of feeling so alive – midnight swimming in Lake Michigan, yoga in the rising sun, snorkeling with sharks, snow angels, one more hug. I love these moments when life is pulsing through my veins. I’m sentimental – those who know me know I’m the one who initiates going around the table to say things like “what are you most thankful for” at Thanksgiving and your “hopes for the year to come” at New Years. The ending of one year and the start of the next are monumental in my sentimental mushiness. It’s a new chapter in our story. What will happen in 2017? How will this year shape our lives? 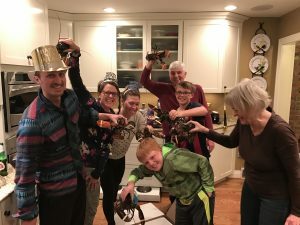 It was these first days of the new year of 2014 that I stretched intensely to ease the pain in my low back… then, the Tuesday evening when our family’s world turned upside down with the news that the pain was cancer. When we rang in 2014 – who would have imagined what was ahead? Not me. The uncertainly of a new year can be overwhelming – especially for those facing challenges. I hold this fear in my heart and hope light can pierce through the darkness as we celebrate the start of a new year. Most certainly the silver lining in this hurricane of cancer is the realization of how fragile and precious life is. When facing a terminal diagnosis – the right now is more meaningful. When the future is uncertain, living in the moment takes on an entirely bigger meaning. I’m not alone in this realization. I have many friends who live in this same, beautiful and painful way. Indeed, when the future is uncertain we truly embrace every moment. Not in a cliché. In our reality. The mundane, the boring – it’s what we dream of. The living is so much more intensely appreciated. When we went around the table on New Year’s Eve and shared what we were thankful for – I simply said “this life.” I am thankful to be living this beautiful life. I am grateful in an intensely deep way – a way I never felt prior to this stage 4 diagnosis. 2016 was filled with living life to the fullest – it was beautiful. So, bring it on 2017! I’m certain there will be tears. Perhaps my health will falter. But, I won’t live in the uncertainty of tomorrow. I live in the right now. As I set my sites on the year ahead and continue to work at living life to the fullest I have two challenges for you – 1. Embrace a simple moment and 2. Live a big moment! First, the simple moment – not a big special occasion, just a simple everyday occurrence. Don’t rush through it – embrace it. Dinner with your family, walking your dog, driving home, a bedtime hug. In a time when we are hurrying & worrying – allow yourself the chance to have gratitude for the simple. Then, I challenge you to do something that makes you feel really, really alive. When your kids are swimming in a cold lake – jump in and play with them. Dance! When you look out the window at fresh new snow – go make a snow angel. In this moment – feel the blood pumping in your veins. Breath deeply. Cherish the chance to be alive. These moments are your life. The big and the little. Embrace them – how lucky we are to be alive right now.